Several drug manufacturers targeted in lawsuits over the opioid epidemic have asked a federal judge to sanction Mike DeWine and two other lawyers, for statements they made on 60 Minutes in December. Several drug manufacturers targeted in lawsuits over the opioid epidemic have asked a federal judge in Cleveland to sanction Ohio's attorney general and governor-elect, along with two other lawyers, for statements they made in recent television interviews. Friday's motion said statements by Republican Attorney General and governor-elect Mike DeWine and the others on an episode of CBS' 60 Minutes were calculated to taint potential jury pools, according to Cleveland.com. DeWine and attorneys Mike Moore and Burton LeBlanc were part of a December 16 segment on the news magazine show about litigation over the role of big pharmaceutical companies in the deadly opioid epidemic. The motion was filed by attorneys for several drug manufacturers and distributors, including Dublin-based Cardinal Health, Endo, AmerisourceBergen and Purdue Pharma. It alleges DeWine, Moore and LeBlanc were part of a "concerted campaign" by lawyers representing state and local governments "to taint potential jury pools through misleading, inflammatory, and improper public statements." It notes DeWine told 60 Minutes he had seen a set of data from the federal Automated Reports and Consolidated Ordering System, or ARCOS, database that he wasn't allowed to talk about but that was "shocking." He said distributors should have seen something was wrong. 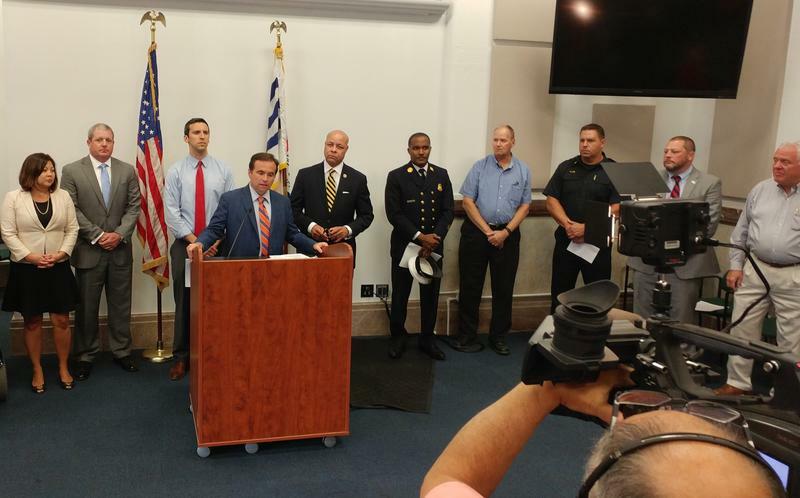 The state of Ohio is joining cities, counties and some other states in suing four companies that distributed prescription painkillers that officials say helped fuel the deadly opioid crisis. And one of the targets is right here in Central Ohio. A report from 60 Minutes and the Washington Post on Sunday suggested Central Ohio-based Cardinal Health and other opioid painkiller distributors persuaded Congress to weaken the Drug Enforcement Agency’s authority. The city of Cincinnati wants three major drug distributors to pay for the opioid epidemic. The city is the latest to file suit against AmerisourceBergen, Cardinal Health, and McKesson Corporation. A federal lawsuit alleges the companies let an epidemic run unchecked. A release from the city says those three companies account for 80 percent of the market for prescription opioids. In a scene bringing back images of Big Tobacco CEOs taking the oath, the chair of Dublin-based drug distributor Cardinal Health appeared before a U.S. House subcommittee on Tuesday to apologize for how the company sent millions of pain pills into parts of West Virginia. The largest business group in the state has put together a free online toolkit for any employer who’s dealing with opioid problems in the workplace – showing just how serious the epidemic is to businesses in Ohio.